In the pursuit of simplicity, I am eliminating certain programs from my computer. I have far too many outlining programs (broadly conceived). 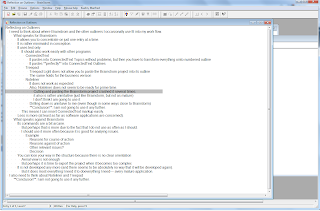 Since most of my work passes through ConnectedText and ultimately ends up as a word processing file (Atlantis), it is important that the outlining program work well together with ConnectedText. Brainstorm plays very nice with ConnectedText Outlines and links. It's a keeper. I am, of course, not using Brainstorm files for large collections of data, but only for thinking through particular issues (which usually are ephemeral). For that reason, not all brainstorm files end up in ConnectedText, but I import some of the more important ones into a ConnectedText as outlines. 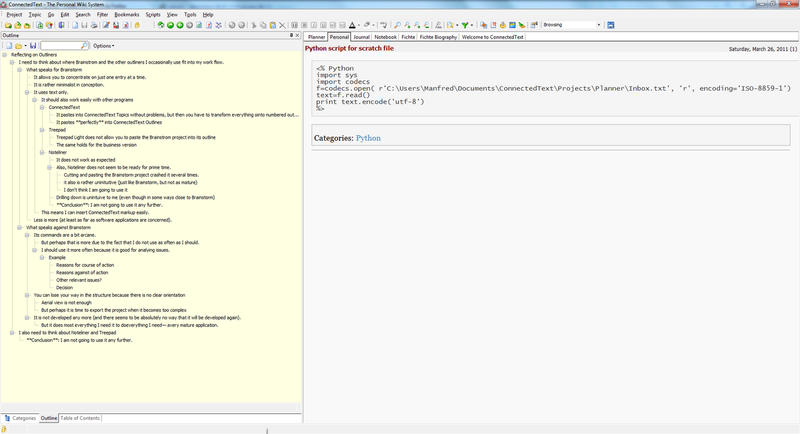 So, it is very feasible to use Brainstorm as a "Front end" for the ConnectedText Outliner. "Synenergy" (whatever that means exactly) is important. 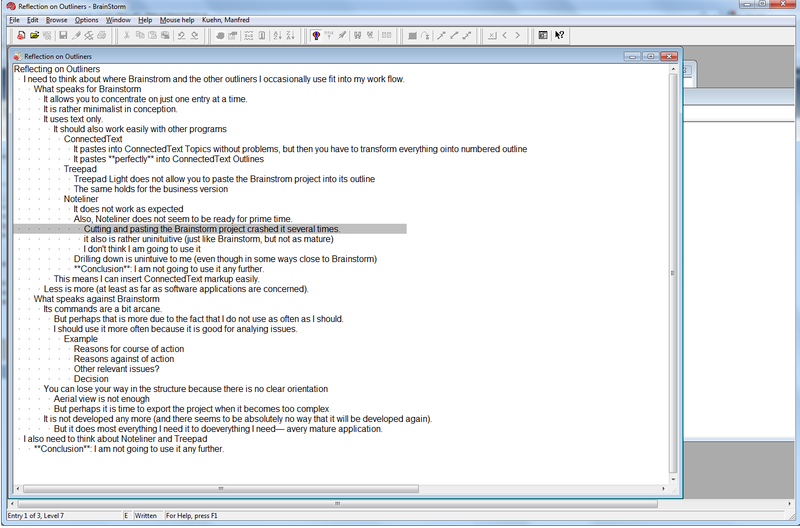 I find Brainstorm useful during the early stages of thinking about an issue. An outliner is more useful, even necessary, after a project has reached a certain degree of complexity. 1. On Brainstorm, see also this earlier post. 2. 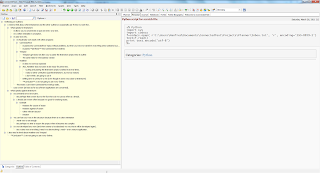 I save the brainstorm model as a text file and then import the text file into a ConnecteText Outline.